Here’s this week’s good news in health IT: over 90 percent of hospitals now provide portals or similar platforms allowing patients to electronically access their medical records, according to a new report from the Office of the National Coordinator for Health IT (ONC). The bad news, however, is that few patients actually use them. Fewer than eight percent of hospitals report that half or more of their patients have activated their patient portal, and nearly 40 percent reported that less than ten percent of patients have logged on. This is in spite of data in the report showing that two-thirds of hospitals offer services like secure messaging, electronic bill pay, and online scheduling that are highly valued by consumers. The root cause lies in simplicity and connectivity. Each hospital or independent physician practice has its own portal, forcing the patient to manage multiple logins and navigate myriad systems, each of which only displays a slice of their medical records. Rarely can the systems communicate with each other to allow providers access to the patient’s complete record. Asking patients to navigate multiple portals from different healthcare providers is like asking them to use different web browsers for each site they visit—it’s cumbersome and nonsensical, the hallmark of a design driven by regulatory requirement rather than consumer value. What’s needed is one, unified consumer portal for healthcare, which integrates all the different providers’ information feeds. For that, we’d need a truly consumer-centric healthcare system, built around and controlled by the individual. Maybe one day. Cerner’s new bookings fell short of expectations in the third quarter of 2018, leading to lower than expected revenue for the period. While sales of licensed software grew 43% from a year ago to $1.59 billion, the EHR vendor didn’t match the second quarter’s $1.78 billion. Third quarter revenue totaled $1.34 billion, up 5% from the same period the prior year. The earnings report comes as Cerner is under fire again for its performance on a Department of Defense contract. According to Politico, independent investigators for the Pentagon gave the company poor marks on its MHS Genesis EHR implementation, calling the system “not effective and not suitable” and “not interoperable.” The low assessment echoes an April DOD report. Cerner attributed the lower-than-expected software bookings to timing and pointed to a strong pipeline of potential business hookups. Technology resales were also somewhat off in the third quarter. Cerner also said it is not yet seeing the full impact of government contracts. Nonetheless, officials called it a strong quarter with solid results. “We continue to have good contributions from our key growth areas” of population health, revenue cycle management and health IT outsourcing, said Chief Client Officer John Peterzalek, who replaces departing President Zane Burke starting next week. Meanwhile, Cerner faces fresh competition from commercial health giant UnitedHealth, which is expanding into EHRs with a fully integrated system in 2019. During a recent earnings call, UnitedHealth CEO David Wichmann said the company will launch a “fully individualized, fully portable” EHR early next year leveraged off its Rally mobile wellness platform. The few public health agencies with HIE integration have reported more complete, higher quality data than those without a connection. The findings detailed in the report focus on strategies for public health and HIE integration across six categories: leadership, technical, financial, privacy and security, policy, and health IT developers. ONC partnered with Clinovations Government + Health (CGH) to examine HIE use among public health agencies. These state and community agencies can assist in improving the health of populations through disease prevention activities using data from public health screening and treatment services, laboratories, pharmacies, environmental health monitors, emergency medical services, local public health agencies, and clinical care providers. Public health agencies function within states and communities and collect data from providers to use for data registries and disease surveillance systems. 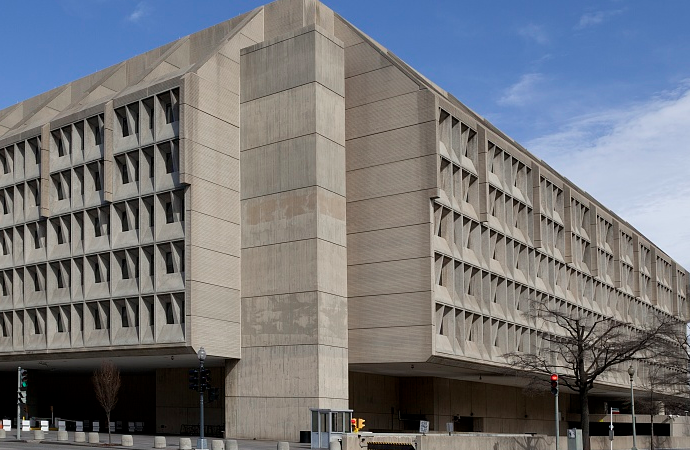 With an HIE connection, public health agencies can benefit from improved interoperability and reduce redundant connections. While public health information systems with HIE integration have increased in recent years according to ONC, the practice is not yet widespread. In 2012, a survey from the Association of State and Territorial Health Officials (ASTHO) found 13 state public health agencies received lab results and nine received reportable diseases through HIE organizations. Public health systems with integrated HIE organizations have also been shown to yield improvements in care coordination and clinical efficiency, according to qualitative research in upstate New York, central Texas, Indiana, and New Mexico. Still, HIE integration within public health systems is a relatively recent undertaking. An existing reporting infrastructure already facilitates public health reporting for health care providers. Limited resources are available to dedicate to HIE infrastructure. In its report, ONC determined that a combination of flexible, standardized technical solutions, policy enabling standardized public health reporting through HIE organizations and secondary data use, and affordable connectivity solutions offered by health IT developers could address these issues. Interviewees highlighted a number of objectives driving the need to encourage more HIE integration in this care setting. Most stated HIE integration could streamline the number of connections and thereby reduce costs for healthcare providers, HIE organizations, and public health agencies sharing information. Additionally, integration could support providers in achieving public health requirements for the EHR incentive programs. Other interviewees expressed interest in developing a sustainable platform for clinical and public health data exchange for improved analytics and quality measurement. To achieve these aims, ONC outlined ways public health agencies can overcome barriers to HIE integration — specifically, lack of standardization, gaps in standard use and adoption, lack of aligned messaging standards, and inconsistent data quality pose issues in integration. Improving standards for public health data exchange is especially necessary. Using transport methods such as the Direct standard could assist in improving standardization in public health data exchange. To help public health agencies more efficiently exchange health data, ONC provided a summary of best practices for HIE use. “One jurisdiction’s HIE organization respondents describe an increasingly electronic environment as being overall good for the community with the ability to share information across trading partners,” stated ONC. “However, public health agency respondents caution against the growing electronic gap between public health and health care providers, where health care providers increasingly use health IT with exchange capabilities, but public health agencies do not have comparable technology to participate in exchanges,” the agency advised. Finally, ONC emphasized the need for collaboration between public health agencies, HIEs, healthcare providers, and health IT developers to work toward bidirectional, standards-based health data exchange. “Standards alignment must integrate public health information systems and HIE organizations, with transport mechanisms and terminologies meeting all of the public health data requirements,” maintained ONC. It’s hard to say exactly what transpired at that January meeting between then-Vice President Joe Biden and Epic CEO Judy Faulkner. What we do know is that it triggered a visceral online reaction over the importance of interoperability and access to health data—and even some Twitter threads on the nuances of HIPAA. But that might be more telling about where the industry currently stands and the direction it’s quickly heading. “It went downhill from there,” Simon said. The story developed more on Monday, when former White House Chief Technology Officer Aneesh Chopra told CNBC the meeting was cordial and there “was a motivation and desire to work together to improve data access.” An Epic spokesperson told Health IT News that the company “supports patients’ rights to access their entire record,” adding that Biden was “consistently polite and positive” during the meeting. By then, Twitter had worked itself into a full lather. Many were particularly incensed at Faulkner’s insinuation that that length and complexity of a medical record somehow rendered it useless to patients. 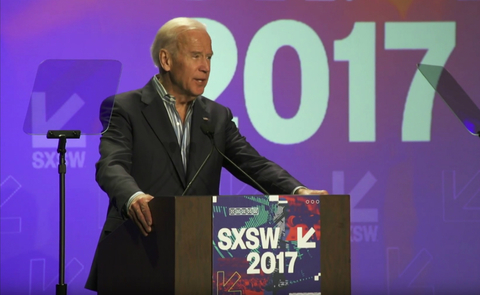 The reactions to Biden’s exchange with Faulkner may say more about the state of health IT than the interaction itself that was either contentious or cordial, depending on who you ask. There’s still a lot of frustration over the amount of money invested in EHR adoption and the fact that interoperability is still a challenging task. At the same time, the vast majority of the industry is embracing the concept of replacing medical paternalism with patient-centered care, and more healthcare consumers are recognizing the benefits of having all of your health information at your fingertips. In other words, demand is growing, but healthcare is still short on supply. That might explain the visceral reactions. This week, Chilmark Research analyst Brian Eastwood argued that the debate over patient access to data revolves more around culture than software, and that’s probably true. Embracing the idea that patients should be able to access their medical record is a basic hurdle before anyone can tackle the technology that can make that happen. But the heated debate that followed shows how much people across the healthcare industry see this as a core priority. It may not have infiltrated every corner of the ecosystem, but it touched a nerve that was far more basic than the technical minutia of interoperability or data standardization. It’s clear that the broader notion that patient records aren’t just the property of the health system—or even the software vendor—is carving out a substantial role in healthcare’s ongoing transformation. Any insinuation to the contrary is seen as shortsighted. 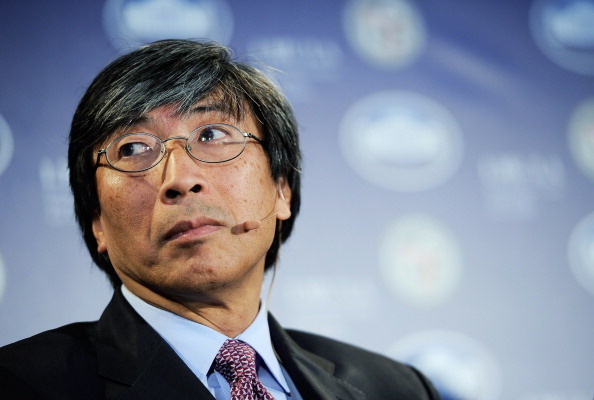 Can Patrick Soon-Shiong silence his many critics? On the phone, Patrick Soon-Shiong speaks slowly and deliberately. He clearly trusts himself, but he doesn’t trust journalists anymore. A series of scathing articles by STAT News and Politico sent stocks in his publicly-traded companies tumbling earlier this year. On Monday, he has an opportunity to change that narrative somewhat, with the unveiling of data from human trials of his cancer vaccine at a major oncology conference. The stories allege that despite his bold claims, Soon-Shiong’s NantWorks subsidiaries are underperforming and reliant on contracts from other companies in the group. Reporters have also claimed that one of his companies, NantHealth, has received contracts from institutions that had received donations from his nonprofit foundation — a major conflict of interest. This was not adequately disclosed prior to the massive initial public offering of NantHealth, they argue, which may violate SEC laws. Speaking to MedCity on Wednesday after his recent appointment to a national health IT advisory committee, Soon-Shiong detailed how the various threads of his career are converging toward a pivotal moment. A solution for healthcare is almost within reach and he’s poised to unveil what he believes is a disruptive cancer therapy – the Nant vaccine – at the annual meeting of the American Society of Clinical Oncology (ASCO) in Chicago on Monday. This story clearly clashes with many other viewpoints in the industry.